Need A Custom Made Portable Barrier Gate? No problem we custom design and install mobile gates in widths up to 6′ and heights up to 30”. Our gates allow quick and easy portable security access control. Our barrier gates are made from galvanized steel, powder coated in safety colors for high visibility and are light enough to be carried by hand. If you need extra width, multiple gates can be connected together to form perimeters. Our Free Standing Barrier Gates close up potential dangerous areas and help prevent accidents. Access control barrier gates are great for controlled brief access to areas that need to be closed temporarily for aisle access, hallways, entryways, maintenance clean-up and patch up work. 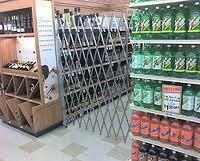 Portable barrier gates allow for controlled access to industrial warehouses, inventory stocking areas, commercial factories as well restrict aisle access in retail stores. They also help prevent accidents like slips and falls while cleanups are in progress. Aircraft Grade Aluminum Rivets are designed to be durable, not to rust, will not crack, webbing will not separate and to hold up to more stress. Our gates are lightweight, easy to handle and move and can be quickly collapsed, stored or transported by truck to any location that needs an access control solution. 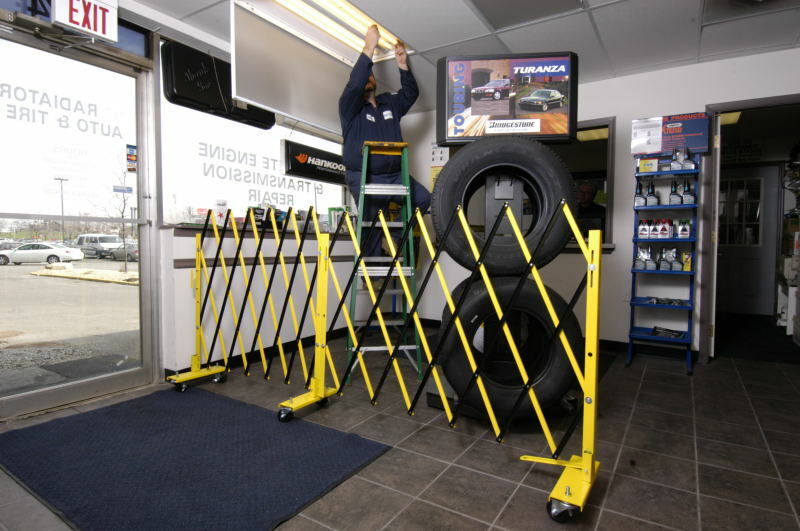 Barrier gates also allow air circulation and ambient light while still providing portable security and safety. 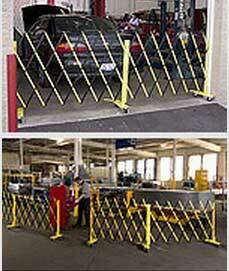 Barrier gates play an important part of any safe, secure environment. No matter what your situation is, we have a solution and will custom build you a door gate to your specifications.Call us for a free quote.